1. What is an Agent? For new users coming to this sub daily it is hard to directly understand the point of an agent. Be honest, you did not do better in your first days/weeks. So instead of redirecting them to the searchbar just explain it to them in 2 sentences. The main website we buy our reps from is taobao.com. It is like a amazon or eBay for China - solely for China. The problem that results is that we need a connection between your country and China. You cannot buy from TaoBao directly (for most of the countries) and you probably would not understand anything. So here comes the agent in hand. You browse through your favorite TaoBao shops and find some items you want to buy. Now you do not buy it through TaoBao but through your agent (in our case Superbuy). Superbuy now buys this exact item and lets it deliver to their ware house. You ask for pictures, measurements, exchanges, returns etc. When everything is fine Superbuy will package everything and deliver it to you. They are the connection between you and TaoBao. 2. Which agent to use? I have experience with many agents and it would be fair for me to compare them. I do not want to call out Agents and tell about bad experiences with them but I will tell you that Superbuy was the one with the most professional, honest, fast and caring service I could ever experience. If it would not be good it would not be the most popular agent ever. In my last Guide I compared prices of each agents and showed you how there is more than "no service fee", "cheaper shipping costs" since in the end every agent somehow earns his profit. There is no real price difference between agents, just use the one that will give you the best experience. In this Guide I will continue to make examples and tutorials only about Superbuy. I am sorry if you use another agent but just keep Superbuy in mind when you plan your next haul. Use any agent you want, there is very little price differences when it comes to agents and depending where you are located in the world prices will differ. Just press on the little "Sign Up" text on the top right corner and fill in the info. That's it. 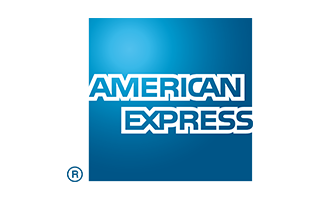 To redeem your $30 worth of Shipping Coupons you will want to sign up here. Do not worry, signing up is a normal thing. Beware that I would still advise you to use a unique password that you do not use for other websites - Safety reasons. Also don't worry about your payment information such as Paypal - You never enter your Paypal email + password on the Superbuy homepage, it always redirects you to Paypal's official website where you log in as usual. Superbuy also uses a secure connection between you and them (https). Find the item you want on Taobao. Use this subreddit, try to find it yourself with image search or Google translate, whatever. For this example, we'll use the A$AP Rocky x Guess Tee from UnionKingdom. 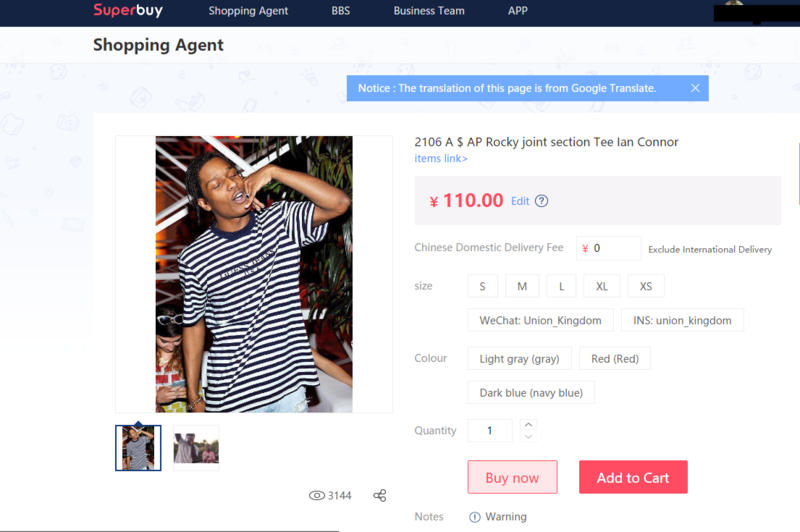 Go to Superbuy, and hover over the Shopping Agent button on the navbar. Click the blue box and paste your Taobao link into it. You will be taken to a page like this. Here, Superbuy translates the color and size options for you, and all you need to do is select the color and size you want. After, you can either Add to Cart or Buy Now. For this example, we'll assume that this shirt it the only thing you want. You will next be taken to this page. Here, you have to select your country from the Choose Destination Countrybox, then hit submit to be taken to the payment screen. If you have an existing balance in your Superbuy account from previous purchases that you have returned, you can use that to buy the product. I have 91.06 yuan in my account already, so I just need to pay 18.94 yuan for this 110 yuan tee. Here, just select Paypal and pay for your order. 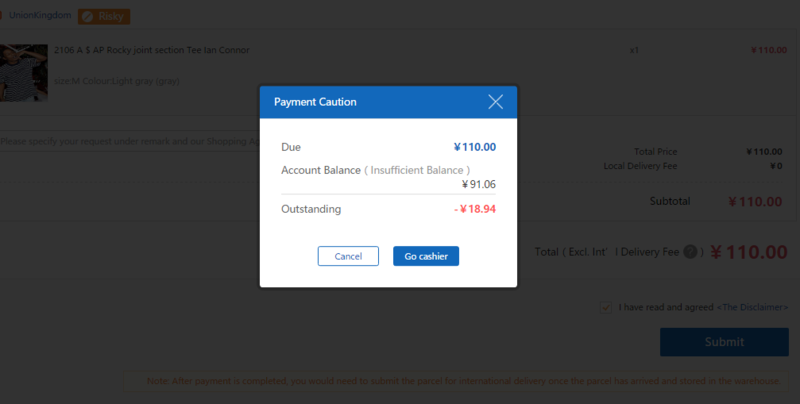 Sometimes Superbuy will not allow you to use PayPal and that is when you need to simply top up your balance instead of doing a direct order with PayPal. Now, just wait until the seller ships his order. Once it arrives in the Superbuy ware house, you will receive a notification. Once your product arrives, hover over your username in the navbar and select My Ware house. Here, you can view QC, or quality control, pictures that Superbuy takes. One con of using Superbuy is their picture taking skills. To receive better pictures, you have to contact their live chat and give them your order number and request better QC pictures. If you're satisfied with your order, select it and click Submit in the lower right corner. Here, you can choose your preferred shipping method. The fashionreps favorite currently is EMS, but it's up to you what line you would like to use. 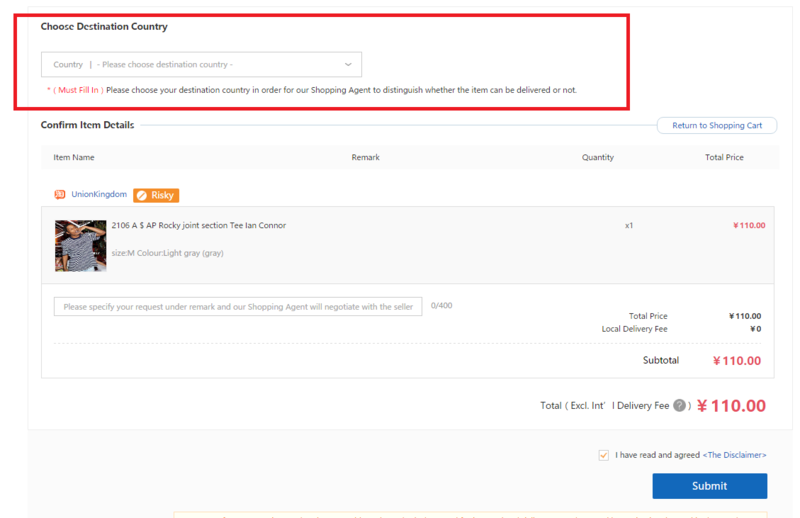 Just select the shipping line, then click Submit Delivery Order to have Superbuy pack up your products and send it to your door. 3. Post your hauls ! You can use Spreadsheet or Reddit itself to write/structure it, no problem. Add a link to all pictures (QC or Fitpics) in one imgur album, please. If you are unsure whether or not your item has any errors or has a good or bad quality - Just post your QC pictures here. There are so many people who know their stuff, let them check your item and give you advise. Don't forget this. Don't forget to write the name of the piece in the title. Always think about the search bar, guys. Ok this may be the most important part of my Guide. How to avoid customs - especially when you are living in Europe (s/o to Germany). Not everything changed, but there are some IMPORTANT steps that I added to the checklist. DHL is the way to go for Germany, Austria and many more European countries. If you live in the US, Canada you can choose EMS. Do NOT use EMS when you live in Germany or Austria. If you live in the United States then avoiding customs is impossible. This part is mainly for those outside of the U.S.
You may have to look up laws for any import fees or regulations. These numbers are an example for Superbuy shipping to Germany, it should work for any country though. [ ] Try to stay at a maximum of 4kg. Do not go over this for the safest rate. [ ] Ask them to wrap up your whole package with tape, a lot of tape. If you have a non-Rep haul then you can probably use other shipping methods. Decide on your own. I recommend you to use the service called 17Track to track your packages. No matter the tracking number 17Trackusually can decipher it and track it for you. Keep. The. F***. Calm. This can have so many reasons. And I want to correct myself: It is a difference between your parcel is held up by customs and your parcel being seized by customs. Let me take all the fear from you. If your parcel is held up DHL probably just messaged/emailed/called you and they told you some long story about some value declaration and so on. To keep it short: DHL does not trust your invoice/can't read the invoice/is bored af and wants a proof of payment to declare the value of your haul. For DHL Germany it is really easy to do this. You go to this DHL Linkfill out the information and upload a Paypal/Bank wire/Western Union/Payment Screenshot. For any other country: Search for the email address of DHL Express Customs (not normal DHL) in your country. You can also call the DHL Express hotline and ask them. Email them the same proof of payment screenshot. The bad side is that you will probably have to pay some importing fees (EUSt in Germany are 19% + 12,50€ DHL fees). I can tell you that DHL Customs will not check if you send them an authentic screenshot of your Paypal transaction or if you managed to change up some digits in order to stay under $24. To save the importing fees. I cannot tell you how to do it, though of course. This is why it was important, that Superbuy sent you the Commercial Invoice they put on the parcel - You know exactly how high they declared it and what they stated is inside. The Tracking status should be "Clearance Event" when they want the proof of payment and should change to "Clearance processing completed" when it is done. This can take up to several days after you send them the screenshot. If your haul really got seized (Tracking status "Please contact DHL") there is nothing you can do. DHL will send you a letter where they will ask you for your permission to destroy the items. Just ignore this letter. It will automatically count as a permission (in Germany). There is nothing else. You don't go to jail, you don't get a Million $ fine. Some DHL Customs worker told me that if you stay under 3 shoes per package they will not contact the brand. But keep in mind, this is TOTALLY random. If you follow the checklist there is a micro chance that you package will even get inspected. Because inspecting alone is not enough, so many DHL workers just don't care and pass some brands. And if you really are that unlucky, just deal with it. Some sellers send out a replacement for free, some don't. You, Your family and your future kids will be safe, don't worry. If your package was seized or taken in for inspection by United States Customs then you will be given a call or a notice that DHL, EMS, or your selected shipping company has took in your package. Do not panic. Often times when they take your package in for inspection they will ask you to provide a receipt or invoice for the declaration of value for your haul. Seizures and inspections are 100% random and aren't able to bypassed through any method. To keep it short: DHL does not trust your invoice/can't read the invoice/is bored af and wants a proof of payment to declare the value of your haul. For DHL Germany it is really easy to do this. You go to this DHL Link fill out the information and upload a Paypal/Bank wire/Western Union/Payment Screenshot. For any other country: Search for the email address of DHL Express Customs (not normal DHL) in your country. You can also call the DHL Express hotline and ask them. Email them the same proof of payment screenshot. After this step you will need to wait for the review period to end and if everything went well then your package will be released to you. If your package was seized and they send you a letter than it is best to say you didn't order the item and take the loss on the haul. This rarely happens.